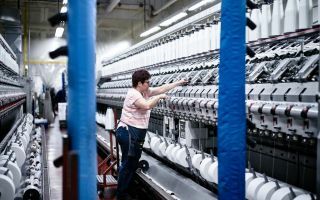 Volt Smart Yarns is an innovation, developed by Hickory, N.C.-based stretch yarn specialist Supreme Corporation. 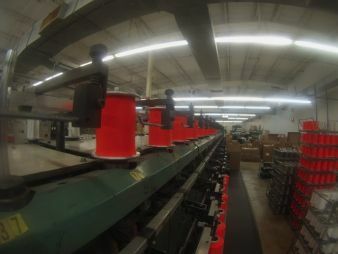 Matt Kolmes, Supreme’s CEO, says at the core of Volt is a highly engineered composite yarn, which has various levels of conductivity, resistance and strength. It has evolved out of work with military contractors, and is now moving into a variety of areas, including healthcare and sportswear. Volt evolved out of a bonded thread product sold for flame resistant mattresses. Volt’s latest industry showcase came in January at the Wearable Expo in Tokyo, an event that drew 14,000 visitors. 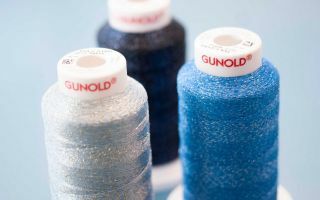 Kolmes was surprised to see all of the advancements in conductive yarn, and was excited that Volt was well-received. Kolmes says the Tokyo show has forced him to reevaluate Volt’s market strategy. The company was “flooded” with requests for yarn, and its booth attracted numerous university representatives from the region. He will now try to forge partnerships with high-tech Asia-based firms looking for conductive yarns. He says Volt will definitely return to the exhibition in 2019. But before that, Kolmes will return to Japan in April to speak at the Otsuka Textile Design School at the invitation of officials who visited Volt’s stand. “We have a much bigger footprint now, and we will eventually need a distributor in that part of the world,” he says. 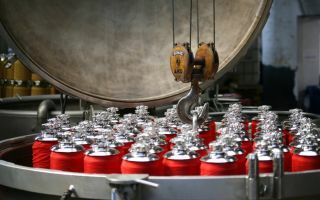 Supreme recently partnered with French firm JRC Reflex, to develop a specialty yarn that combines the processes of Volt and JRC Reflex’s CRY (coated reflective yarn) product to provide a conductive, reflective smart yarn. It debuted at Premiere Vision in Paris in February. Volt first gained industry attention when IFAI Expo bestowed its Show Stopper award on the new product in the Fabrics, Fibers & Films category in September 2017. That was about the time of the product’s soft launch, which garnered a huge response from assorted industries, including computer chip manufacturers, car manufacturers, clothing manufacturers, companies in health care and hospitals. Kolmes says there was a feeding frenzy of companies that want this conductive yarn. 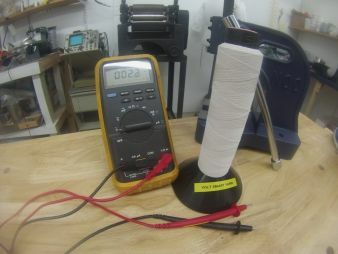 The attention garnered there has propelled Volt into many conversations with companies that want to move into smart fabrics and wearable technology. Supreme is now partnering with several companies that want to incorporate Volt into their product lines for 2020 or 2021. But, he says it’s apparent that companies are missing many variables in the equation, and Supreme is hoping to close that gap. Noting that prototyping is costly, Kolmes says Supreme realized it had to blaze a new path with Volt by developing working relationships with companies in the electronics arena. The first products using Volt yarns are going into military garments that track the health of soldiers. Kolmes believes the next round will move into the greater health sector with use in hospitals and by doctors to monitor patients, perhaps even alerting them to an epidemic by tracking a spike in body temperature. Kolmes notes that not much has changed in sportswear using smart textiles since about 2007 with Fitbit. He believes everything since has been “bolt-on” technology. Kolmes believes the industry is now making big strides and moving toward a point where the sensor is the fabric. Supreme is now working on nine versions of Volt, with some versions requiring filing of patents. Some of the potential uses for Volt are in automotives, medical devices and police clothing, Kolmes believes. While Supreme is not at liberty to name many of its partners, one company it is partnering with is Pressure Profile Systems in Los Angeles, which develops tactile sensing technologies. PPS is looking to develop an impact sensor to be used in retrofitting policy body armor. Kolmes says smart clothing is being used to measure a variety of categories, including fatigue, hydration and heart rate.